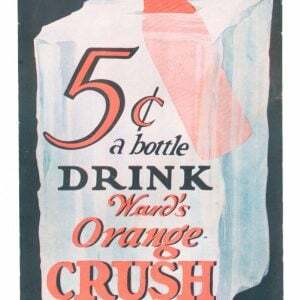 Scarce, early cardboard trolley car style sign for Orange Crush Soda (paper labeled pre ribbed bottle era). 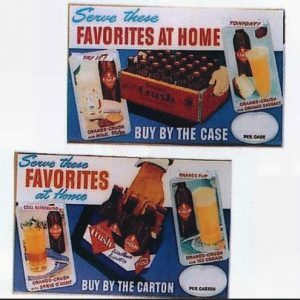 SKU: 86-171. 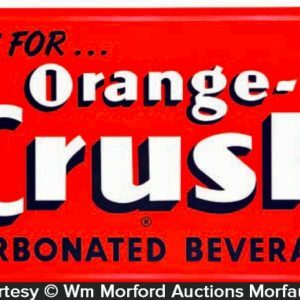 Categories: Antique Signs, Vintage Soda. 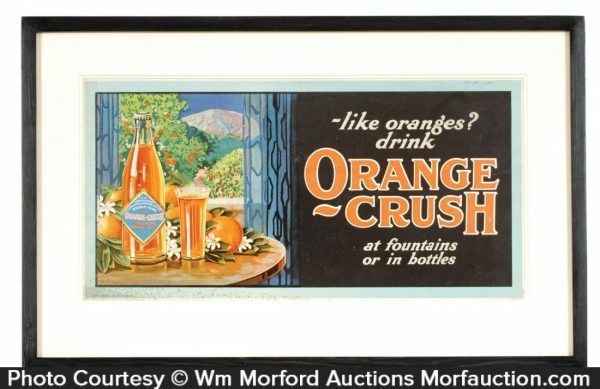 Company/Brand: Orange Crush Soda. 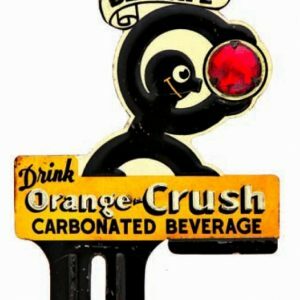 Orange Crush Trolley Sign: Scarce, early cardboard trolley car style sign for Orange Crush Soda (paper labeled pre ribbed bottle era). 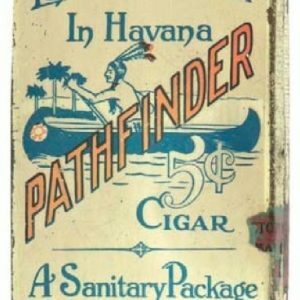 Clean, bright and attractive in appearance (basically displays a strong C. 8/+) w/ exception of some fine scattered foxing speckles in bottom left blue margin area (nothing serious or that detracts from great overall look of piece). Nicely framed and matted.